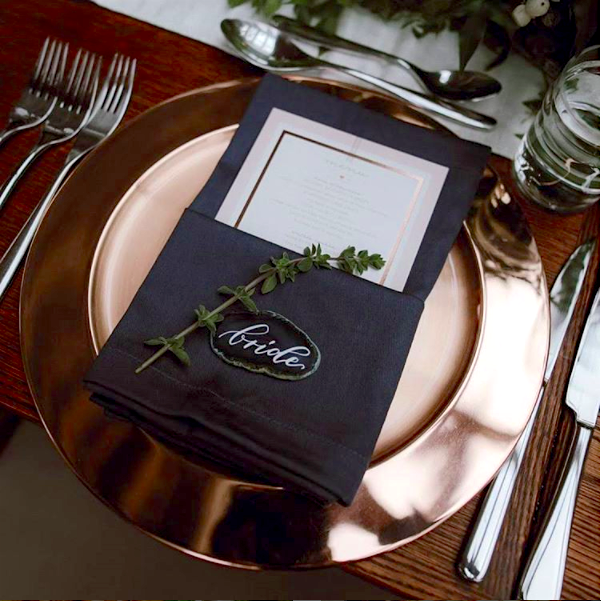 This copper charger with a shiny rim and matte center is a warm and modern beginning touch to your next dinner party. It also works as a unique and light tray for passed hors d'oeuvres (it is food-safe) and to corral your bar ingredients. 13" Diameter. Hand wash only. Pair it with our white Marcel Dinner Plate and Coupe Bowl to really make the copper pop!